As part of our commitment to developing safe and effective surgical simulations, Fundamental Surgery is actively engaged in validation research projects to ensure the educational validity of our products. We strive to ensure that our simulations provide users with not only a high-quality virtual reality and haptically enabled user experience but also truly valuable and effective learning and training opportunities. 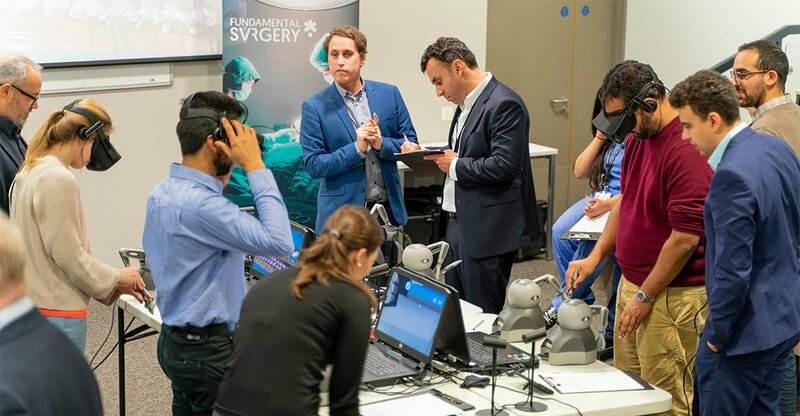 Our simulations address predetermined learning objectives to ensure the incremental development of both surgical knowledge and technical skill in surgical procedures for both trainees and consultant (attending level) surgeons. We focus on assessments that report user achievements at the levels of both surgical objectives and technical skill. Our dashboards report on key steps as well as metrics such as surgical site gaze time and accuracy of instrument use. These data are used as part of our validation research to inform and guide future product development and improvement. Validation of the Posterior Approach to the Total Hip Replacement in conjunction with the British Orthopedic Training Association. 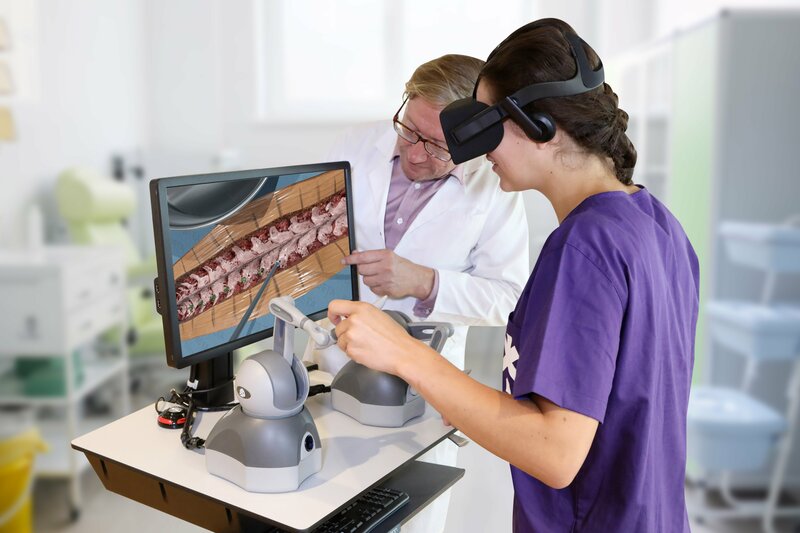 Spinal Pedicle Screw Haptic VR Simulation: Validation of Fundamental SurgeryTM Educational Simulation. With funding from Innovate UK, Fundamental Surgery has been working closely with Dr Jonathan San Diego (Lecturer & Director of iTEL Hub at King’s College London) to evaluate specific elements of the educational experience of our procedures and to provide quantitative feedback relevant to the continual educational development of our platform. This work has provided independent, academic feedback on the quality of our simulations and provided valuable guidance which is actively informing how we continue to improve our procedure simulations and the structure of our assessments. If you would like to set-up a research project looking at the validation of our simulations complete the form below for more information on how we can support you.